Notwithstanding its great influence in modern physics, the EPR thought-experiment has been explained incorrectly a surprising number of times. He then gives examples of famous authors who get EPR wrong. EPR write, near the end of their paper, "[O]ne would not arrive at our conclusion if one insisted that two or more physical quantities can be regarded as simultaneous elements of reality only when they can be simultaneously measured or predicted." The response that Bohr could have made: "Yes." EPR briefly considered the implications of this idea and then dismissed it with the remark, "No reasonable definition of reality could be expected to permit this." But that is exactly what Bohr did. A possible reply in the Bohrian vein: "Could a `reasonable definition of reality' permit so basic a fact as the simultaneity of two events to be dependent on the observer's frame of reference? Many notions familiar from everyday life only become well-defined in relativity theory once we fix a Lorentz frame. Likewise, many statements in quantum theory only become well-defined once we have given a complete description of the experimental apparatus and its arrangement." This is not a quote from anywhere in Bohr's writings, but it is fairly in the tradition of his Warsaw lecture, where he put considerable emphasis on what he felt to be "deepgoing analogies" between quantum theory and relativity. In spite of all differences in the physical problems concerned, relativity theory and quantum theory possess striking similarities in a purely logical aspect. In both cases we are confronted with novel aspects of the observational problem, involving a revision of customary ideas of physical reality, and originating in the recognition of general laws of nature which do not directly affect practical experience. The impossibility of an unambiguous separation between space and time without reference to the observer, and the impossibility of a sharp separation between the behavior of objects and their interaction with the means of observation are, in fact, straightforward consequences of the existence of a maximum velocity of propagation of all actions and of a minimum quantity of any action, respectively. This is well put. The aim of EPR is to explain a simple example of entangled particles, and to argue that no reasonable definition of reality would permit two observables that cannot be simultaneously measured. And yet that is a core teaching of quantum mechanics, from about 10 years earlier. Two non-commuting observables cannot be simultaneously measured precisely. That is the Heisenberg uncertainty principle. Theories that assign definite simultaneous values to observables are called hidden variable theories. All the reasonable ones have been ruled out by the Bell Test Experiments. Complaining that the uncertainty principle violates pre-conceptions about reality is like complaining that relativity violates pre-conceptions about simultaneity. Of course it does. Get with the program. There are crackpots who reject relativity because of the Twin Paradox, or some other such surprising effect. The physics community treats them as crackpots. And yet the community tolerates those who get excited by EPR, even tho EPR makes essentially the same mistake. Saying "maximum velocity of propagation" is a way of saying the core of relativity theory, and saying "minimum quantity of any action" is a way of saying the core of quantum mechanics. The minimum is Planck's constant h, or h-bar. The Heisenberg uncertainties are proportional to this constant. That minimum makes it impossible to precisely measure position and momentum simultaneously, just as the finite speed of light makes it impossible to keep clocks simultaneous. Of course the dirty little secret is that nothing can actually be measured 'accurately', in time as even atomic clocks with the highest precision can not be said to be unvarying or perfectly uniform, as one second measured from another may very well vary to some degree of accuracy (given enough decimal spaces). There is no way to even make the claim you can make one measurement accurately given that your time piece is not capable of making increments of time measurements that are perfectly identical, so kvetching about absolutely simultaneous measurements not being possible should be followed by the disclaimer you can't actually make perfectly sequential measurements either. I would also point out if you wish to make bones about relativity and reality, you have to address the fact that a Minkowski space isn't reality at all, it is a flawed mathematical space that illogically pretends you can conjoin three perpendicular and independent spatial dimensions with a non perpendicular, non independent, non spatial dimension, and then call geometric graphs of the whole hot mess a measurement of something real. This is all well and good, and surely too many popular books and articles talk too much about EPR, but it seems impossible today to say “A quantum system does not have a property — like a position, speed or amount of energy — until that property is measured,” even if Bohr and Heisenberg might have agreed with the sentiment, if we're working mostly with quantum fields. Isn't this something of a straw man? "Complaining that the uncertainty principle violates pre-conceptions about reality is like complaining that relativity violates pre-conceptions about simultaneity. Of course it does. Get with the program." Sure, but wasn't Bell trying to show that local hidden variables cannot explain strange correlations of entangled space-like separated particles? If there is a common cause that isn't explained by local hidden variables, then what is it besides a non-local interaction? That's what QM never gave a straightforward answer to. Bell did show that local hidden variables cannot explain the strange correlations, but I don't that is what he was trying to show as I don't think he believed the strange correlations. There could be a common cause explained by a local quantum theory. There is no need to believe in non-local interactions. But what is it? Quantum mechanics doesn't really explain it. 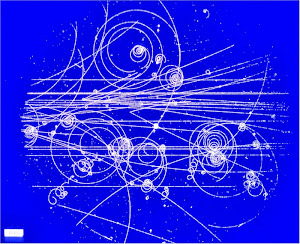 Bohr largely rejected causality: "I hope by these remarks to have conveyed the impression that in abandoning the causal description in atomic physics we are not concerned with a hasty assertion of the impossibility of comprehending the wealth of phenomena, but with a serious effort to account for the new type of laws here encountered in conformity with the general lesson of philosophy regarding the necessity of a balance between analysis and synthesis." What meaningless tripe! Bohr just garbles sentences with excess verbiage and Eastern mystification. I find retro-causality less crackpot than his pompous non-sequiturs. Whether quantum properties are "real" or not, there is a very real correlation. You can't posit a past history without falling into some form of hidden variables to encode the states of that history, so what is the common cause? The properties are quantum (non-classical) but it these still produce a macro-level and very real physical correlation at space-like separation. I don't think the theory of quantum mechanics has explained anything about this phenomena, whatever the answer might be. Bohr can be confusing, but I don't think that he was rejecting causality. Sure he did: "The repeatedly expressed hopes of avoiding the essentially statistical character of quantum mechanical description by the assumption of some causal mechanism underlying the atomic phenomena and hitherto inaccessible to observation would indeed seem to be as vain as any project of doing justice to the increased profundity of the picture of the world achieved by the general theory of relativity by means of the ordinary conceptions of absolute space and time." His recourse is to a meaningless word: complementarity. It's a non-explanation posing as an explanation. To say you are against traditional causality doesn't imply what kind of causation you are for. It's all unimpressive hand waving. Anybody can say that. It adds nothing to understanding. Again, there is a physically real correlation at a spacelike separation. 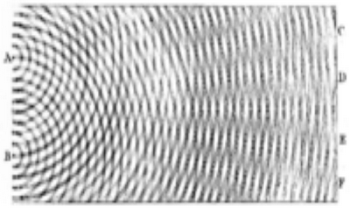 It doesn't matter if you think the wavefunction is ontic or not or that Bohr's distinction between the classical and quantum holds because you have a macro-level correlation in the world beyond the speed of light that anyone with eyes can observe. It really has nothing to do with false counterfactuals given that we are not trying to talk about unobserved measurements but the very ones we actually made. Now, I very much suspect there is no signaling and we can't send information but to say that people have explained this phenomena is outrageous. It hasn't been explained but simply described at a superficial level. At best a statistic (or probability) is a rule of thumb. It is not a working explanation of how anything happens (a cause), only that it does happen at some regularity. The ancient Romans had no idea that bacteria or germs existed, but they did know that people died of disease more frequently when certain conditions were present. They observed fewer people died of disease when those conditions were not present, and over time developed and employed aqueducts, paved roads, plumbing, gutters, sewers, bathing hygiene and basic sanitation to minimize these adverse conditions. All manner of labeled and categorical causes were suggested as a cause of disease, usually to some mystical or supernatural cause of origin, but they had no real understanding of a cause. They had a working (though entirely superficial) rule of thumb that if followed prescriptively would allow them to minimize disease, but no real understanding or 'science' of what the actual cause of disease was. Just to see how ignorant even the medical sciences were until quite recently, it wasn't very long ago (1846) when a Hungarian doctor named Ignaz Semmelweis discovered something as simple as hand washing could save lives. He still wasn't sure of the mechanism, only that the practice (rule of thumb)of washing hands lowered the probability of death. Probability is NEVER a cause however. QM is equivalent to the Roman notion of disease, it is not a scientific understanding, it is a mathematically derived rule of thumb without an underlying cause of the rule, other than 'it is just so'. If you are going to understand the functioning of particles (or anything else for that matter), you need more than reified statistical correlation posed as a working scientific causation. Math is never the cause of anything. Antonie van Leeuwenhoek gave the best clues because he actually bothered to look! There are certain topological and geometrical assumptions that are going into quantum properties. I'm not sold on the present abstractions. Probability was always about deterministic systems. They have gotten into a dead end because they refuse to dig deeper. Where exactly does probability enter the theory?